Publisher: The Franklin Library, 1978. A limited edition collection published under the auspices of The American Revolution Bicentennial Administration. 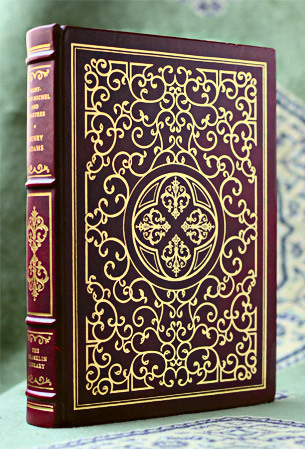 Condition: Hardcover, full-leather. Like new, except for minor shelf-wear. 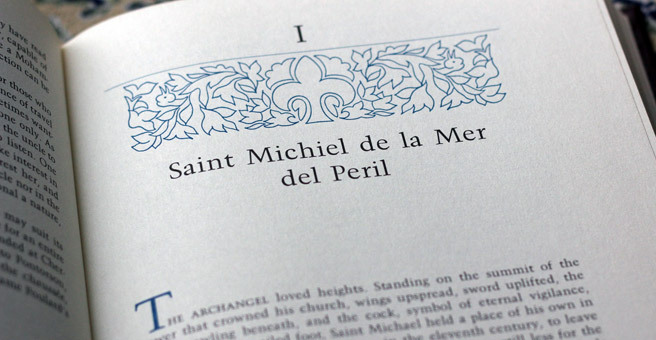 A magnificent book – looks even better in real life than in photos. 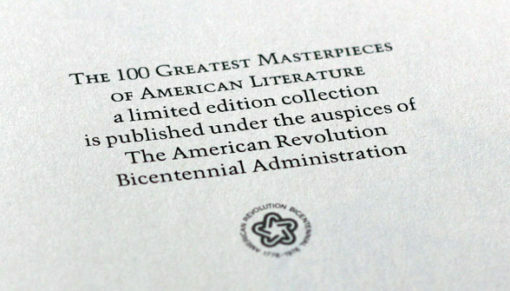 Extended essay by Henry Adams, printed privately in 1904 and commercially in 1913. 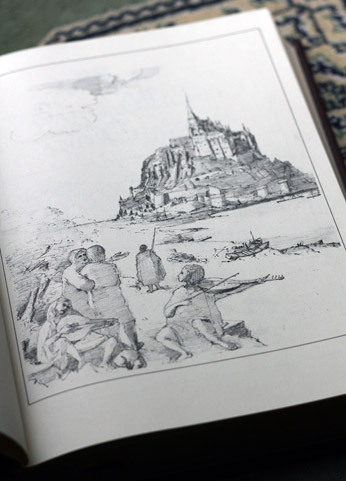 It is subtitled A Study of Thirteenth-Century Unity. 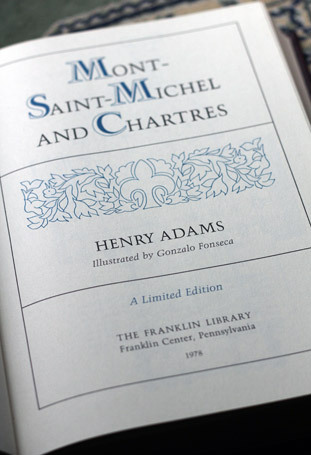 Mont-Saint-Michel and Chartres is best considered a companion to the author’s autobiography, The Education of Henry Adams (1918). 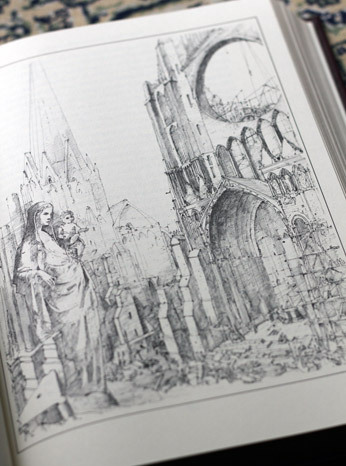 In Chartres, he described the medieval world view as reflected in its cathedrals, which he believed expressed “an emotion, the deepest man ever felt–the struggle of his own littleness to grasp the infinite.” Adams was drawn to the ideological unity expressed in Roman Catholicism and symbolized by the Virgin Mary; he contrasted this coherence with the uncertainties of the 20th century.